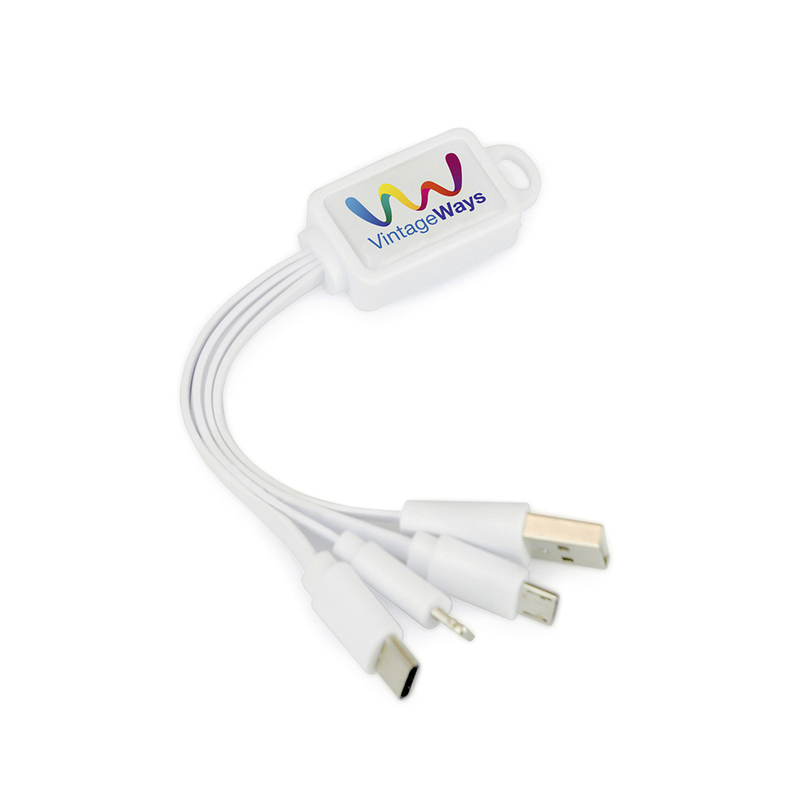 Description: You can now have multiple device charging cables all on one cable with this plastic keyring. Includes a USB, 5 pin, type C android and micro USB connectors. Available in white. Additional Information Price includes up to a full colour dome to 1 position. Set up and carriage are additional.